Softness can be more powerful than using force – it allows you to move in the natural flow of life. Weakness is power. Two apparently paradoxical qualities, weakness and power, are presented as essentially the same thing. This is a characteristic idea of Taoism, a Chinese philosophy in which an all-encompassing power, the tao, is at the core of everything. Tao is hard to define in only a few words or phrases, just because it is everything. Nevertheless, I’ll try to explain as clearly as possible what I’ve learned about it. Tao is the source of energy from which everything originates, on which everything grows and everything comes back to it. That’s why, according to Taoism, we are one unity, distinctions do not exist. According to the Tao te Ching, in which taoist philosophy has been described by Lao Tse, Tao is continuously moving and present in everything that exists. Everything we experience is an appearance of tao with different qualities. These qualities are described as yin and yang. Yin is a soft, still energy, whereas yang is powerful and dynamic. Again, seemingly opposing qualities, but in essence they are both an expression of the same thing. They work together and cannot exist without each other, and therefore they are one. Everything is one, just like in yoga philosophy. This may still sound a little abstract, so it can be helpful to apply these concepts to a yoga class. The purpose of yin-yang yoga is to find balance through the practice of soft, gentle exercises and powerful, active movement. Paulie Zink, one of the founders of yin yoga, describes yin yoga as the practice of stillness with poses that facilitate growth, clear energetic blockages and improve circulation. You try to relax completely, surrender to the power of gravity, and take your time to practice mental awareness. Yang yoga is helpful to build strength, body awareness and perseverance. The transition between yin and yang can take place in a taoist flow, with gentle and circular movement. At the same time, the purpose in a yin pose is to play your edge, the point at which you are physically and mentally challenged, finding this edge requires your full awareness. In that respect, you’re not totally passive; you’re mentally alert and you keep actively monitoring how you can let go and allow more space in your body and mind. In this way, you are making an effort to find relaxation, and thus both are present at the same time. Similarly, you can find relaxation within effortful activity. 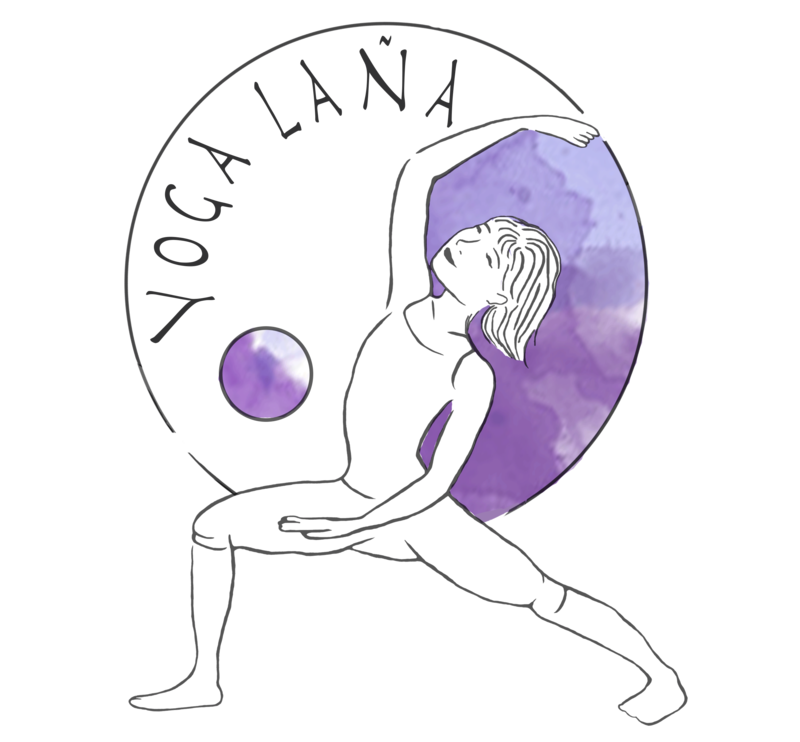 If you’re in a yang pose, such as a standing forward bend, you are using physical strength to get to your maximum point, and perhaps a little further. But you won’t achieve this by fully engaging everything in your body; you are looking for places where you can make more length, where you can let go of tension. The softness that you create is giving you exactly the space that you need to make progress. You’re observing in a calm and open way what is happening inside of you and which possibilities you have. Thus, relaxation originates from effort, the effort might become the same thing as relaxation. When you refine your practice over time, you may experience that yin and yang are coming closer together. You’re finding your own balance. Ultimately, both qualities are melting together and become one again. You may then find yourself in a meditative state, in which everything is flowing naturally. That is Tao. As everything in yoga, this is a matter of practice, a personal exploration. But, as Lao Tse wisely stated: if you’re exploring, you’re on the right path. Start with a meditation, notice how you’re feeling in body, breath and mind. The next element of your practice is a yin pose. For example, the deer pose. For deer pose, bring your right heel towards your right hip and your left leg parallel to the front of your mat. Your hips are sinking to the floor. Hold for 5 minutes and then switch sides. Whatever yin exercise you choose, turn your attention inward and notice the experiences in your body, breath and mind. Just observe, release any muscle tension, soften in your mind by not judging, but by cultivating open awareness. In this mindful state, start waking up with some dynamic movement. This could vary from some gentle neck and shoulder circles to a little core work, such as yogi bicycles. Come to a standing position for the tai chi/qi gong flow. An example of such an exercise is the qi warrior: step your right foot forward into a high lunge, press your left hand forward and bring your right elbow back. Feel the power in your arms and legs. Then release, keep your feet where they are as you turn to the back of your mat, towards your left foot. Same thing here: from the high lunge, press your right hand forward and point your left elbow back. Repeat a few times, moving with the natural rhythm of your breath. Keeping the mindful awareness that you practiced in the yin pose(s) and the taoist flow, transition to a yang sequence. You could do a few sun salutations or dynamic movement from warrior II, going from extended side angle to peaceful warrior a few times. After the dynamic movement, you can do a few more static asanas to ground and restore the balance in your body. Another option is to go back to the yin energy. It’s another way of finding balance – experiment with both options, and discover what works for you. An example of a grounding asana is malasana, the low squat. A reclining twist is a very nice way to finish your practice in a yin way. Close your practice in savasana, fully relaxing and allowing your body to find its own balance. Take at least 5-10 minutes here. These pictures are taken at YogaZenter in Amsterdam, where Lana is teaching a yin-yang yoga class every sunday. Always feel free to join the practice!